The heat is on! 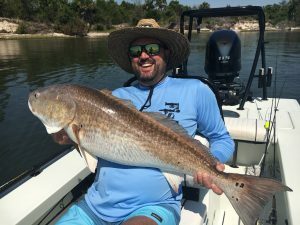 Big reds are staring to show up in the St John’s river and the light tackle battles are on! The big bruisers are trophy sized and provide exciting action on light tackle. The creeks are still producing some slot sized redfish with a little hunting and pecking best to start early or late in the day to avoid the heat of midday! Call to book your trip today!